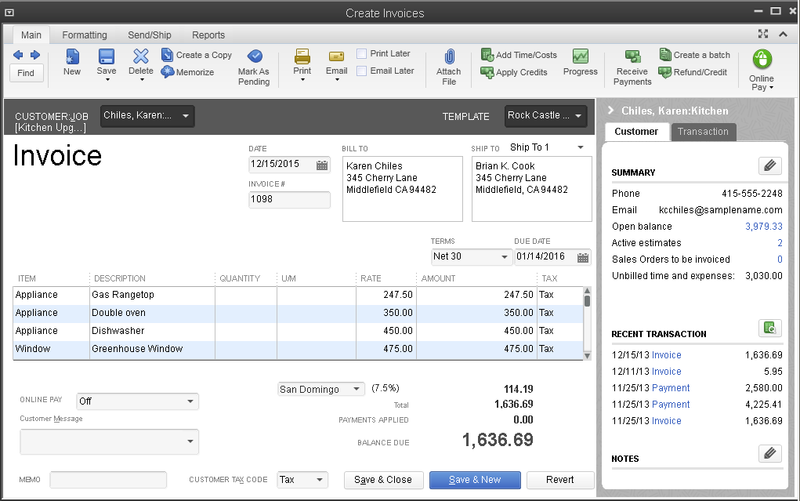 The QuickBooks built for Manufacturers and Wholesalers. This edition of QuickBooks Desktop Enterprise is flexible manufacturing accounting software designed for your needs. Stay on track with Enterprise. 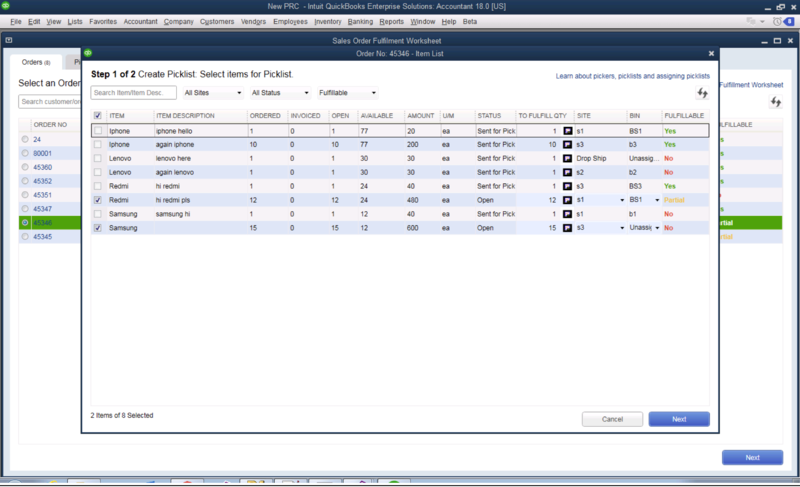 Track inventory between locations and transfer items from one place to another. Keep your manufacturing and wholesale inventory under control. 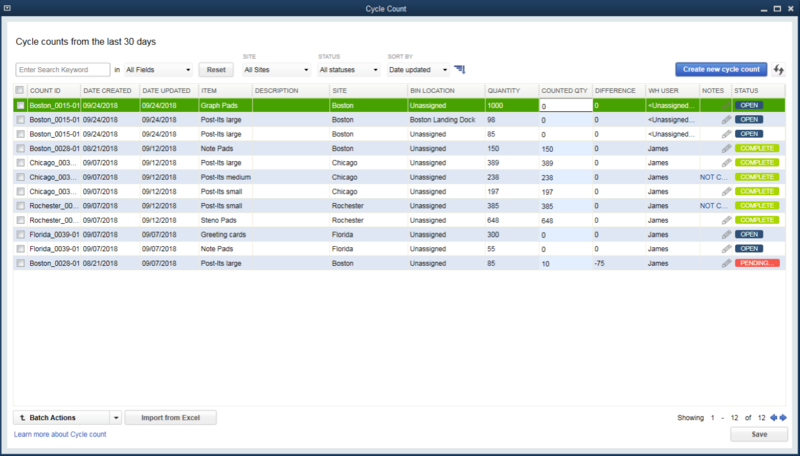 Cycle Count helps improve your productivity by giving you a count of your inventory level in real time without having to shut down your warehouse. Mobile barcode scanning3 makes tracking your inventory a whole lot easier. It's portable and can be used anywhere there's an Internet connection.4 It speeds up the picking process, reduces data entry errors, and lets you send sales orders to workers on the floor or in another warehouse. Build all subassemblies automatically with a final build, instead of entering them individually. See where-used information for assembly components and subassemblies and avoid opening every assembly to see where the component is used. Step-by-step order tracking and sales fulfillment. 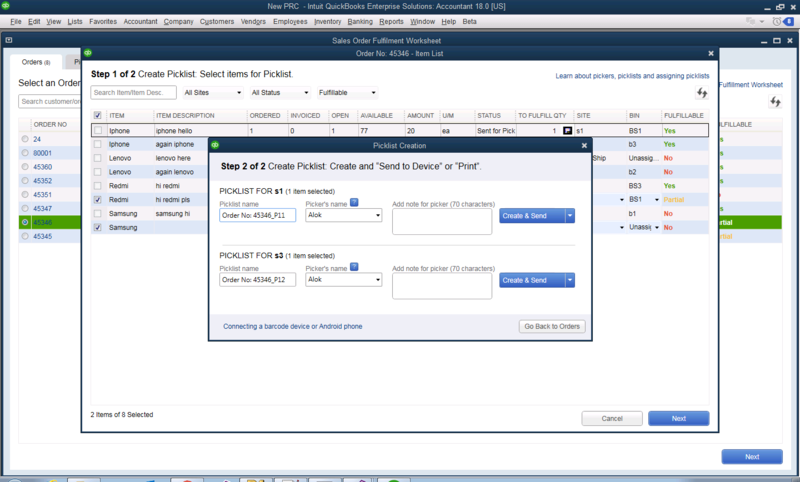 Now fulfilling sales orders is faster with a new picking process that lets you create customized pick lists that can be completed across multiple locations. 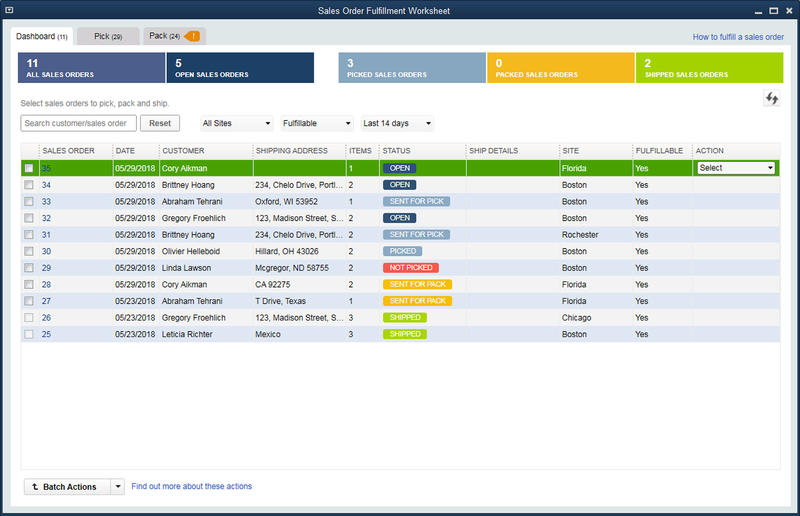 See all open sales orders on one screen. Sort by date, by shippable dollar amount, or by customer. 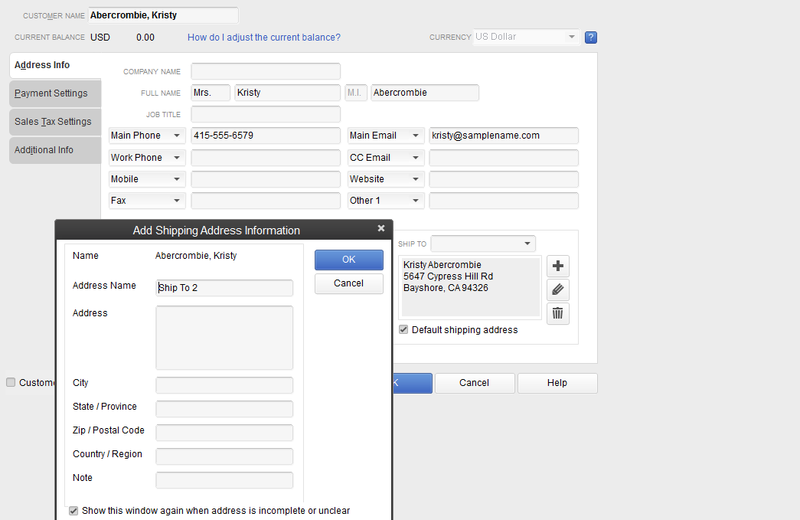 Allow partial or complete order shipment. Batch print pick lists, packing slips, or invoices for the orders you select. 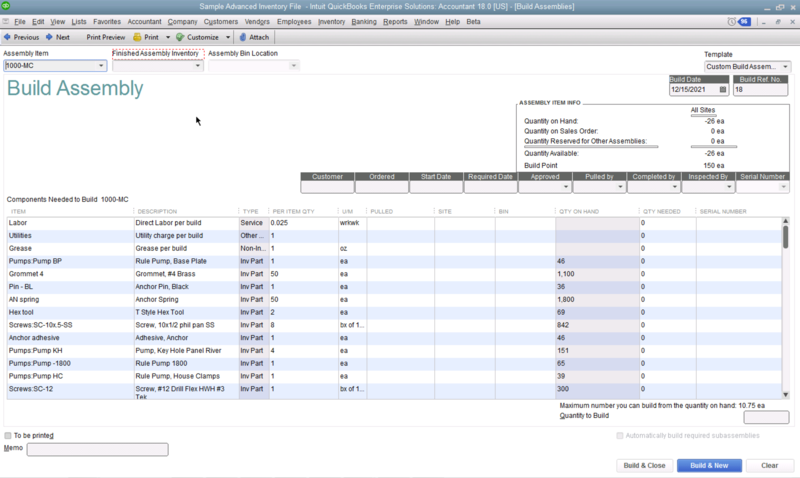 Easily see backordered items on purchase orders, invoices and other sales forms. 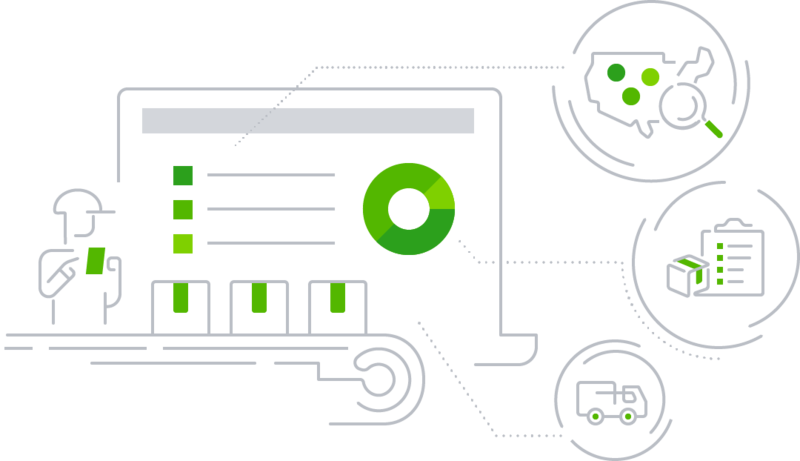 QuickBooks Desktop Enterprise makes it easy to know exactly what still needs to be shipped and what you are still expecting from vendors. 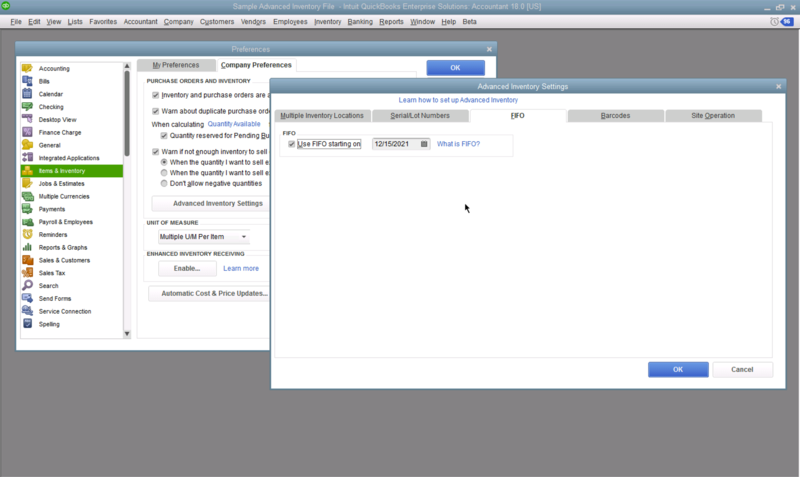 Software to effectively manage your manufacturing scheduling and production. 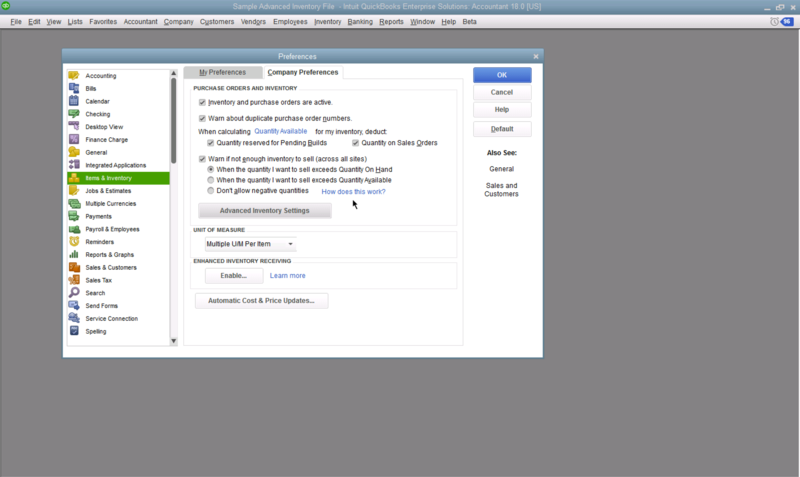 Control, customize, and automate your pricing right in QuickBooks. Easily change your pricing to keep profits growing - no need to manually update. Just set the price rules and the calculations run automatically. Build any report however you need it. 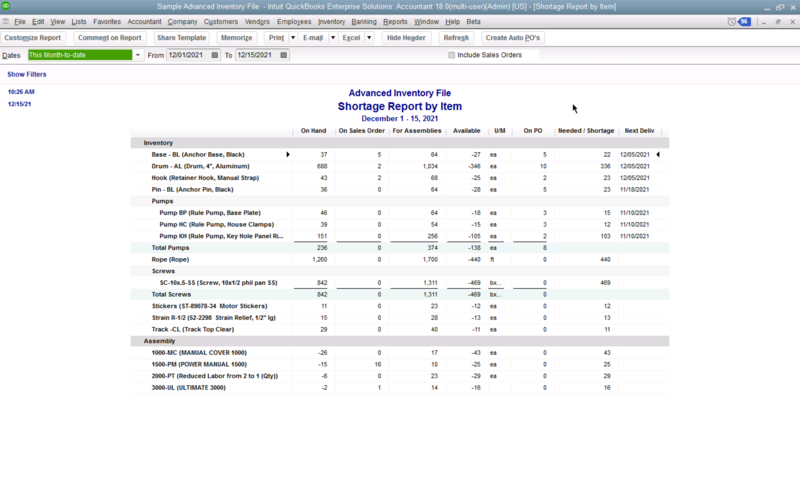 Create industry-specific reports from simple templates. No need to even use Excel. 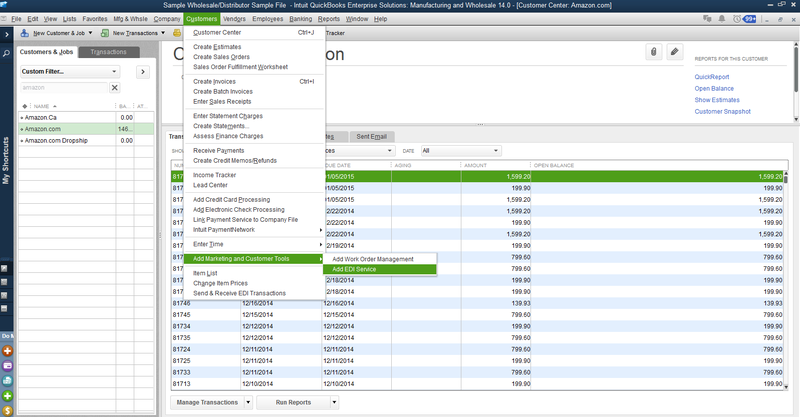 You can Automatically enter company data and see reports right from QuickBooks. 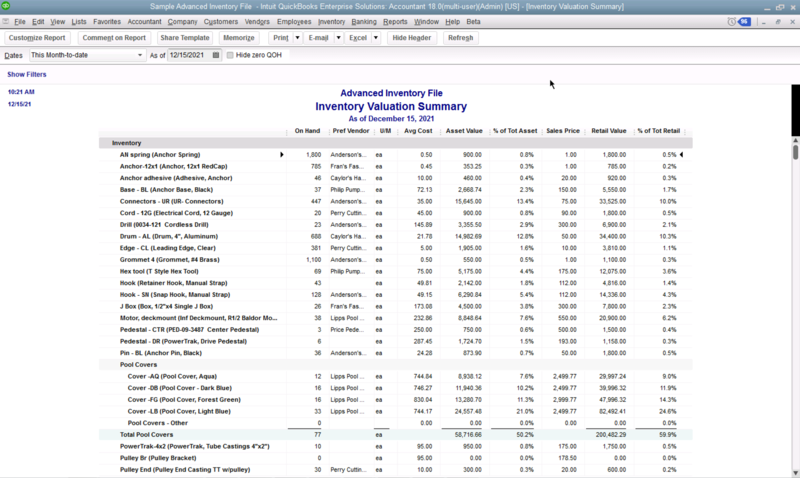 Understand what your inventory is worth with this report. View how much you have on hand, what the cost and sales price is. That way you can understand both the asset's value on your books, and how much you can sell the inventory for. Now you can customize this report by adding in additional columns. See what inventory you have available, on sales order and available for assembles. This report is newly customizable, so you can add in additional columns to get the information that you need. 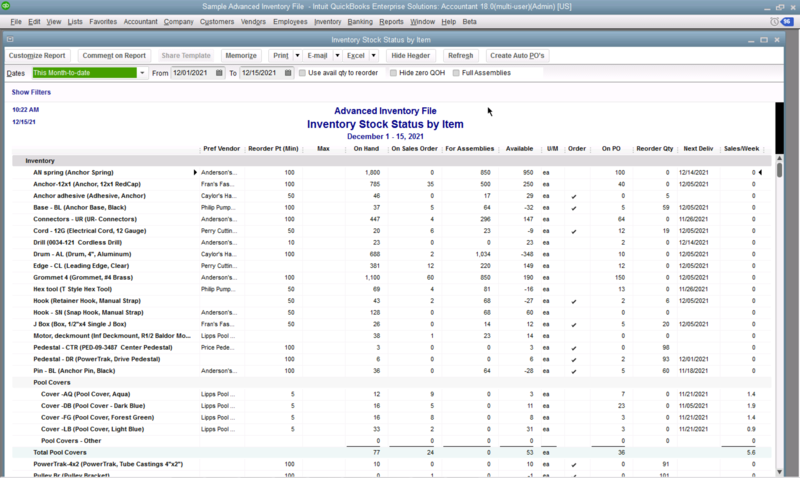 Get a snapshot of what inventory you're needing for key assemblies, and see when the next delivery date of the item is. 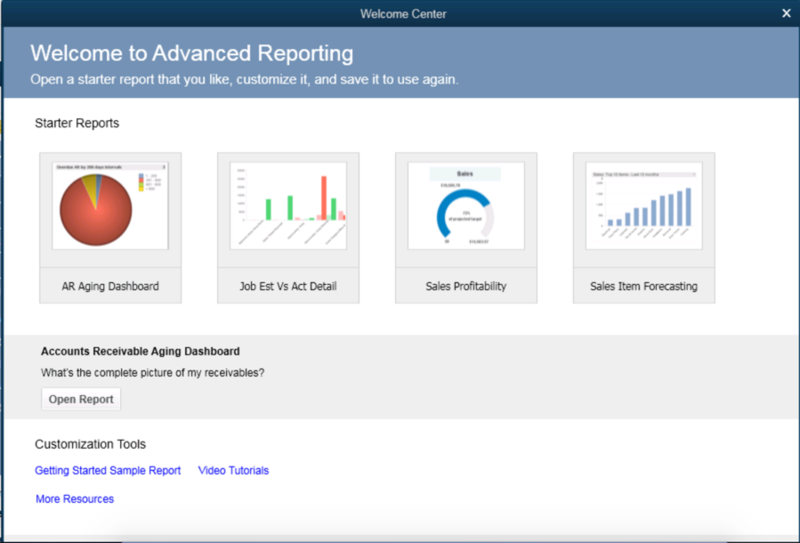 And now you can add in more columns to customize your reports. Your partner to help you meet your business goals. Subject to availability of reliable Internet connection. See detailed list of systems requirements at https://www.rightnetworks.com/system-requirements/. See what RDP clients work with the hosting service at https://www.rightnetworks.com/system-requirements/. 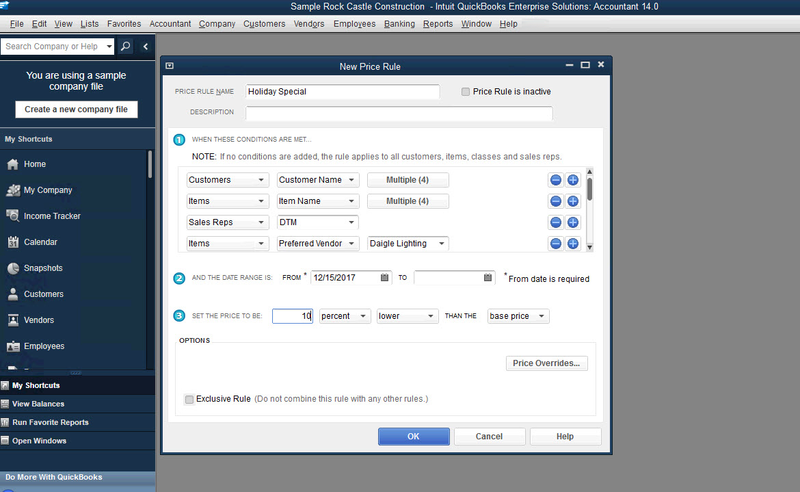 For compatible devices: https://enterprisesuite.intuit.com/products/enterprise-solutions/technical/#top.